This month, I mostly read books by George Eliot. 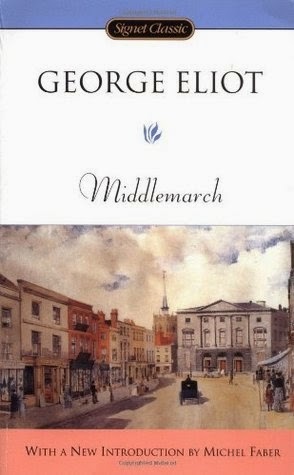 I posted about Middlemarch a few weeks ago, and my favorite George Eliot book is below. The summary is from Amazon, and the review is mine. Silas Marner: The Weaver of Raveloe is the third novel by George Eliot, published in 1861. An outwardly simple tale of a linen weaver, it is notable for its strong realism and its sophisticated treatment of a variety of issues ranging from religion to industrialisation to community. The novel is set in the early years of the 19th century. 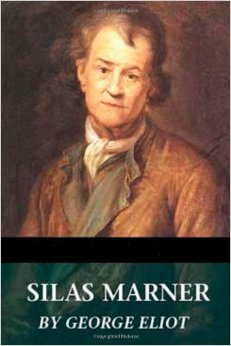 Silas Marner, a weaver, is a member of a small Calvinist congregation in Lantern Yard, a slum street in an unnamed city in Northern England. He is falsely accused of stealing the congregation's funds while watching over the very ill deacon. Two clues are given against Silas: a pocket-knife and the discovery in his own house of the bag formerly containing the money. There is the strong suggestion that Silas' best friend, William Dane, has framed him, since Silas had lent his pocket-knife to William shortly before the crime was committed. Silas is proclaimed guilty. The woman he was to marry casts him off, and later marries William Dane. With his life shattered and his heart broken, Silas leaves Lantern Yard and the city. In 1800s England, a lonely man adopts a child who changes his life and teaches him about the kindness of his neighbors. I've read several of George Eliot's books, and this one is my favorite (so far). It's not very long, the plot is fairly straightforward, and there aren't a ton of characters. 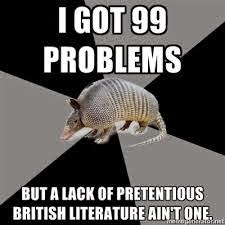 Compared to other British classics, it's an easy book to understand. I don't have too many complaints about this novel. The biggest challenge for me was reading the dialect. There is a lot of dialect, and aReview: In 1800s England, a lonely weaver adopts a child who changes his life and teaches him about the kindness of his neighbors. I don't have too many complaints about this novel. The biggest challenge for me was reading the dialect. There is a lot of dialect, and a few times I had no idea what the characters were saying. Also, like Eliot's other novels, this one takes a while to get going. 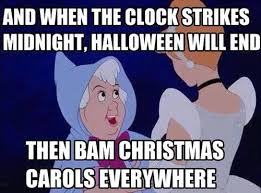 But once the story does start moving, it's easy to get caught up in it. If you are new to reading classics, I'd highly recommend this one. All The Things = 16 books. All The Things is starting to remind me of a mythological monster. The books regenerate as quickly as I can slay them. I’m Currently Reading: Seductive Poison: A Jonestown Survivor’s Story of Life and Death in the People’s Temple by Deborah Layton. Two weeks ago, I wrote about Middlemarch and rewarding slogs. Well, I finished Middlemarch. I don’t think it’s the most rewarding giant book I’ve ever slogged through, but I enjoyed it. A summary from Goodreads and my review are below. ‘We believe in her as in a woman we might providentially meet some fine day when we should find ourselves doubting of the immortality of the soul,’ wrote Henry James of Dorothea Brooke, who shares with the young doctor Tertius Lydgate not only a central role in Middlemarch but also a fervent conviction that life should be heroic. Review: It took me about three weeks, but I finally got through this giant book. As far as classics go, it's actually pretty good. It's a lot more readable than many classics. I didn't have to rely too heavily on Google to tell me what was happening in the plot. Middlemarch is a complex story about marriage, politics, gender roles, and gossip in a small English town in the early 1800s. The first few hundred pages are very slow, but the pace picks up a lot toward the end. The last few hundred pages are great. There are a lot of storylines, and it is impossible to predict the endings to all of them. My favorite storyline was Lydgate/Rosamond. I felt so sorry for Lydgate. He is a realistically flawed character, and he tries very hard to do the right thing, but life just isn't easy for him. I also liked Dorothea/Ladislaw and Fred/Mary. A few of the other storylines are boring and sometimes confusing, but this book is still worth reading for its fascinating and realistic characters. The anthology that I helped edit is now available on Amazon. If you enjoy western regional literature, check it out here. The works in this anthology reflect both the myth and the truth about the part of the United States we call the "West." Is there one "true" West? Or have the changes that are overwhelming most of the rest of the country so modified the West that there is little commonality? The editors of Different Roads believe, with Stephen R. Covey, that our "strength lies in differences, not in similarities" and are constantly amazed by what Stanley Baldwin calls "the many-sidedness of truth." Many sides of the truth of the West are represented in the anthology. Is everything here absolutely the truth? The reader must decide. Topics included in this collection of poetry, fiction and creative non-fiction range from the West's diversity of landscape, people, languages, attitudes and history to discussions of water issues, wildfires, antiquities and a broad range of environmental concerns. 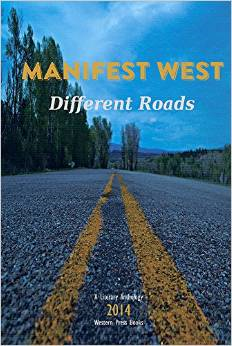 Different Roads is the third volume in Western Press Books' literary anthology series Manifest West. The press, affiliated with Western State Colorado University, annually produces one anthology focused on Western regional writing. The 2014 theme is Western diversity and the title Different Roads comes from George R.R. Martin's quote above. For the past few weeks, I have been slogging my way through George Eliot’s Middlemarch. If you’re not familiar with this giant book, it is the story of a small English town in the early 1800s. The book is hard to summarize because I haven’t finished it yet, and it has a ton of plotlines, but so far it’s about politics, marriage, the roles of women, education, religion, and idealism vs. reality. Middlemarch was first published as a serial novel in 1871-1872. Most of the modern-day copies that I’ve seen are between 800 and 1000 pages. My copy was printed by a small press, so it is 651 pages of microscopic print. Seriously, after about an hour of reading, my eyes feel like they are going to bleed. And, I’m still less than halfway through this thing. So, why am I reading it? Because I’ve been told many times that Middlemarch is the most rewarding book that I will ever slog through. So far, it’s not the best classic I’ve ever read, but it’s still pretty good. I’m actually enjoying it (except for the eyeball-bursting font). Reading Middlemarch has made me think about other rewarding slogs. The first one that comes to mind is Emily Brontë’s Wuthering Heights. The language is outdated, so I couldn’t read it as quickly as a modern book, but the characters and story are brilliant. Another rewarding slog is Atlas Shrugged by Ayn Rand. My copy is over 1100 pages. I don’t agree with the book’s philosophy, and the preachy characters are mildly annoying, but the story is actually quite entertaining. I didn’t feel like I wasted the months that it took to get through it. I don’t know if anyone reads this blog, but if you’re reading, what are your rewarding slogs?